We're the first Canadian Diamond HubSpot Partner. Our team is 100% HubSpot certified, we run the Toronto HUG, and we're Official Certified HubSpot Trainers. We help B2B companies grow by aligning strategy, technology, and content. We've helped 100's of businesses with HubSpot CMS websites, Inbound programs, technical Integrations and growth campaigns in the B2B space. Our HubSpot and Inbound experience have taught us what type of clients benefit most from our services, so we have developed an 'ideal client' profile - which will make our partnership successful. If we decide to work together, we'll build out a complete Inbound strategy and execute like crazy. We're heavy on service, we work hard and smart for all our clients, and we'll do the same for you. We recently worked with The Brit Agency to design, develop and launch our new website - www.chisel.ai - on the HubSpot CMS platform. Our experience collaborating with The Brit Agency was very professional, we kept the project on budget, and accomplished our goal to launch a website that supports inbound marketing and is the foundation for a growth driven strategy. Primarily we interacted with Alistair who quickly responded to all of our inquiries, the team is very responsive. They are also good listeners, they understood our goals and requirements and built the site to meet them. As a startup with limited resources, working with The Brit Agency was a breathe of fresh air. They get it. I would highly recommend them. We are very, very happy with our new website. I worked with Alistair on a new website build project (www.jambo.cloud). The BRIT Agency built our website in the HubSpot CMS and designed custom modules to suit our design requests. It was a great experience - Alistair and his team were always available and no question went unanswered. They stayed within our very tight timelines and delivered exactly what we asked for. Looking forward to working with the BRIT Agency again in the future. Dave and his team provided us with a very special level of service. 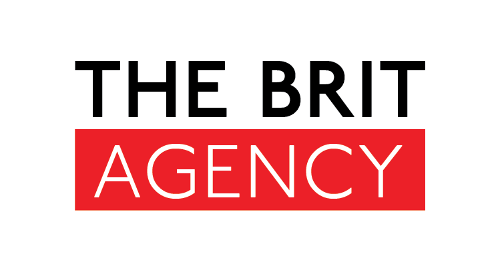 The team at Brit Agency worked hard to understand our business. That translated into a higher percentage of qualified leads. Matt Fox, Sparta Engineering Inc. I worked with Alistair on a project that saw us build a new website in the HubSpot CMS. It was a great experience - Alistair was always available and no question went unanswered. They stayed without our very tight timeline and delivered exactly what we asked. Looking forward to working with BRIT again. These guys do really good work, really fast and with good quality. I strongly recommend them for any business that needs help creating pages on Hubspot. The page look good, they are optimized for SEO and they can leverage Hubdb to make the pages database driven too, saving you time in the future. Oh yeah and they're super affordable which is really important for start-ups like us! Turn-around time in just a few days! Alistair Terry and his team played an integral role in StarCompliance launching its new website on time. We had chosen a template we wanted used for our blog, landing pages and a few emails, but didn't have the time to adjust them ourselves to apply our own look and feel. Alistair's team took the project and within a couple of days, all of the templates were completed. Any small changes I needed made were done within hours, and his team even went above and beyond -- helping us solve a couple of server issues we were having, and on the night of the launch, even stayed in touch to make a couple of navigation changes within the Hubspot templates. I would highly recommend this company for any Hubspot needs you may have. I am definitely looking for another reason to leverage The Brit Agency and the amazing talent they employ. Thank you, Alistair, for providing an excellent service and for helping me meet my goal!